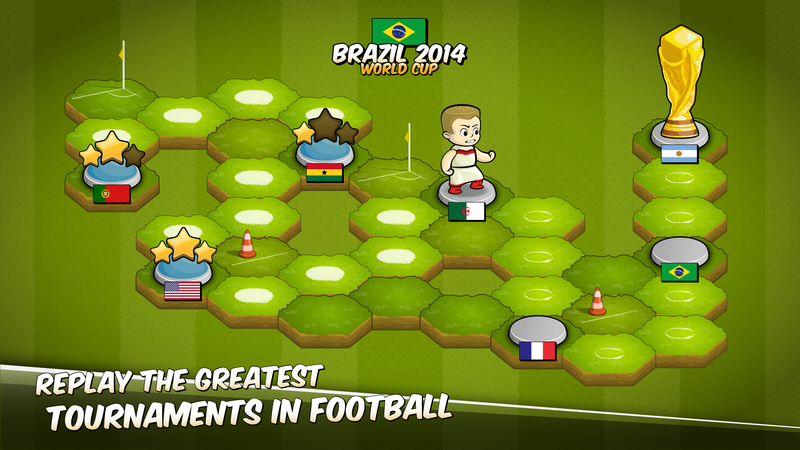 Football Clash is a 2D mobile game where turn-based strategy meets football. It has refreshing controls, a unique history campaign and intriguing looks and personality. It's not the usual "move the player with the left thumb button and shoot/pass with the right thumb button". 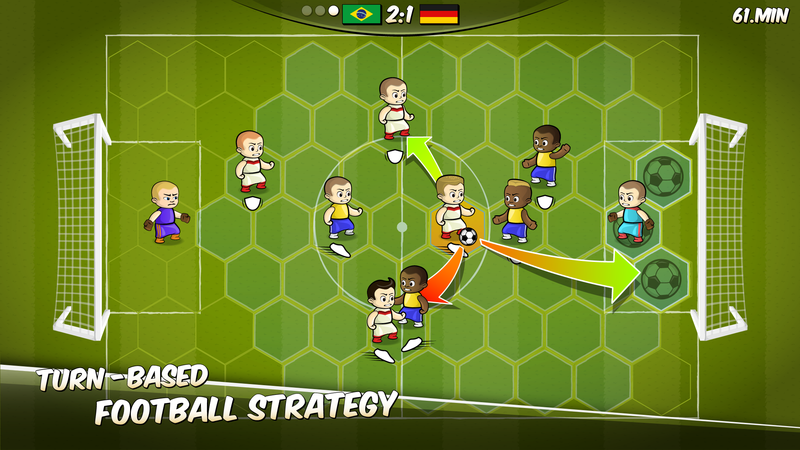 Instead, being turn-based, you tap on grid positions on the playing field to move, pass and shoot. You can replay some of the biggest real tournaments of football with the winning teams in the history campaign. The players have a unique style with very simple but funny animations. Along with the hilarious fake names based on their real names this style supports the players' particular personalities. Started from a game jam, our goal was to build a mobile game based in the football theme but without the standard controls we see so often in other football games. Also we wanted it to have a little bit of strategic depth but still be casual with a session length of 10-15 minutes. All together led to Football Clash, which is simple but challenging and makes most fun to play against a friend while having a drink. History Campaign - Replay 7 tournaments: Mexiko 1986, Portugal 2004, Germany 2006, Venezuela 2007, Poland/Ukraine 2012, Brazil 2014 and France 2016. 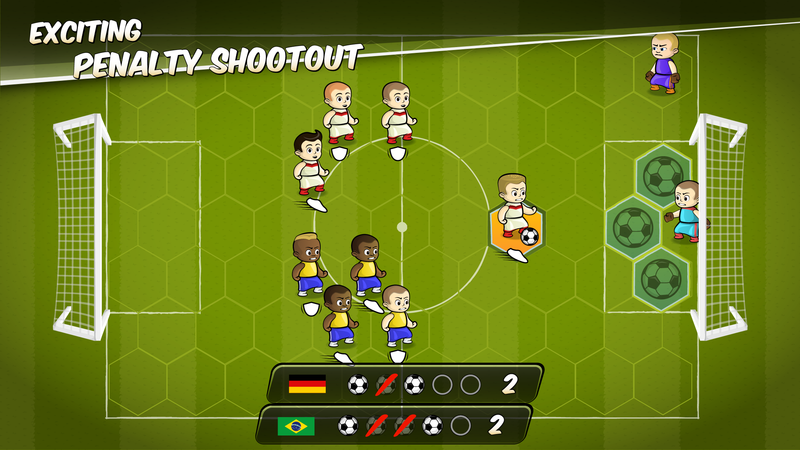 Game Modes - Single match, tournament (4 consecutive matches) and penalty shoot-out. Team Variety - Choose from 40 world teams. Multiplayer - Play alone or against your friends (only offline). Rankings - You can compete with your friends by connecting to Facebook. "Insgesamt ist der Titel eine unterhaltsame und lustige Mischung aus Fussball und Strategie, die wir so noch nicht auf einem iPhone oder iPad erlebt haben." "Auch wenn Football Clash kein Fussball-Spiel im gewoehnlichen Sinne ist und sich ganz und gar nicht mit Titeln wie FIFA vergleichen laesst, duerften Freunde des runden Leders trotzdem voll auf ihre Kosten kommen."